Coming in straight from the city that brought us Beyonce, meet LOUISA! This beautiful girl is a two-year-old chihuahua mix. She’s a whole lotta personality in such a small body. Louisa is adventurous, playful, affectionate and rambunctious – basically everything you could possibly want in a fur-iend. She tends to act nervous when first meeting people (as most of us do) but we’re told she warms up to them really quickly making her super trusting and very lovable. 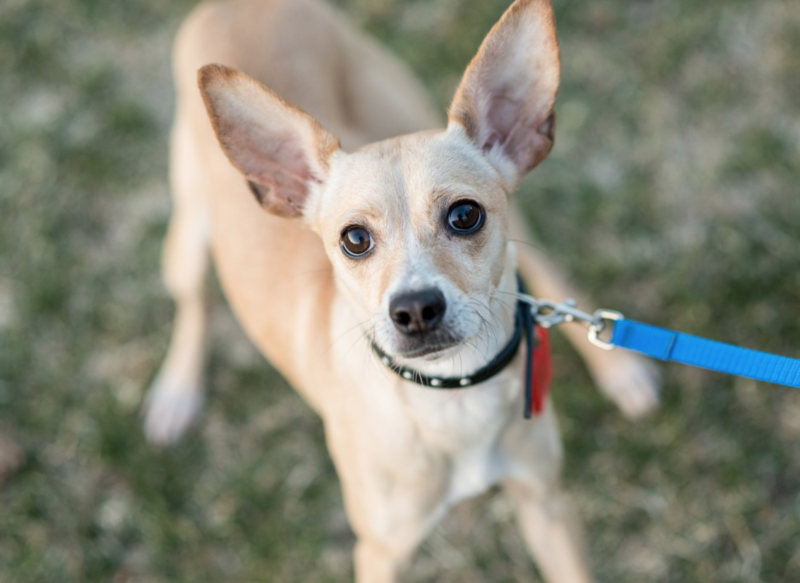 This H-Town cutie may need a bit of help with basic commands and leash training; and from experience, chihuahuas tend to be pretty quick learners. She’s fully house-broken so thats a plus! She gets along great with other small and calm dogs and like anyone that’s just moved to a new place, she’s still getting accustomed to city life and the hustle and bustle that comes with it. If you’re looking for a dog that will keep you on your toes during the day but snuggle up to you at night, Louisa is your girl!